Whether she’s working as a government affairs intern in Washington, D.C., or staffing the reception desk in the Muma College of Business’ Dean’s Suite or offering encouragement to a first-grader as a Big Brothers Big Sisters volunteer, Erica Gloyd gives the same amount of enthusiasm and energy. A member of the Business Honors Program, she will graduate in the spring of 2017 with bachelor’s degrees in finance and economics and a minor in public administration. She has a grade-point average of 3.72 and already has been accepted into a top-ranked law school, an opportunity that comes with a substantial academic scholarship offer. While at the Muma College of Business, Gloyd has participated in scholarship, leadership, professional development and community service and she has established herself as a young professional on the rise. 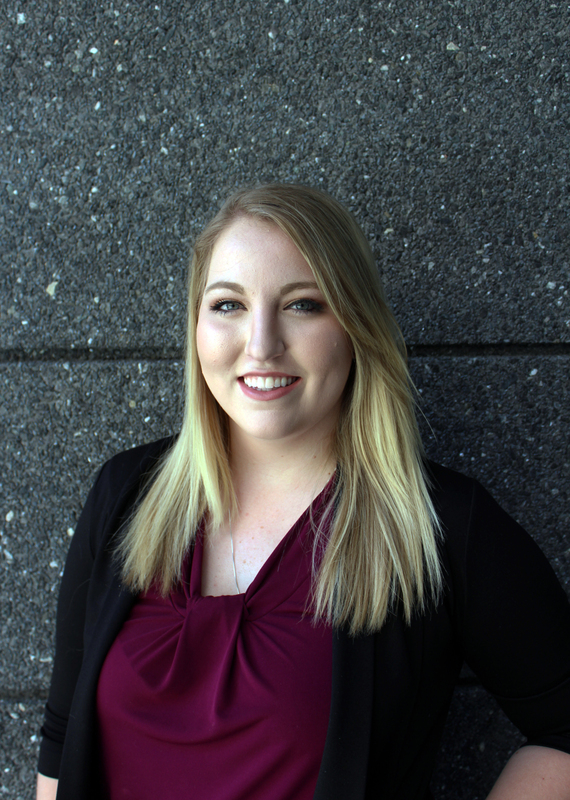 Among her high-achieving accomplishments is an internship with Grant Thornton in Washington, D.C., where she got insights into what skills are needed to be successful in whatever endeavor she chooses. On the community involvement side, Gloyd helped stage an event with the Business Honors Service Association that raised money for the Wounded Warriors Project and as part of her Alpha Omicron Pi sorority, she helped collect donations that totaled more than $7,000 for the Arthritis Foundation. And as part of her involvement in Big Brothers Big Sisters of Tampa Bay, she has found time to visit her “little sister” at her elementary school once a week, helping with academics and hoping to build a long-lasting relationship. Erica is a remarkable young woman. I am proud to have known her since she was a little girl, and have watched her grow into an amazing woman! I’ve known Erica Gloyd since she was a youngster. Her enthusiasm and dedication to academics and activities has always impressed me. Without a doubt, she is a “go-to” person who will excel in all she does. Erica is a very bright young woman who has an excellent future! Very bright, determined, and capable, with a big heart. Erica would be a valuable asset to any organization. I have known Erica since she was a little girl and she has always demonstrated remarkable enthusiasm and dedication in every thing she does. She is an exceptional candidate for this honor. Erica Gloyd, Beyond all of Erica’s academic achievements, which are remarkable, her maturity is where I would focus. She recently suffered the death of her grandmother in an automobile accident. Very difficult on all, but Erica stood strong, displayed her wonderful, compassionate, attitude and managed to keep that big smile of hers.